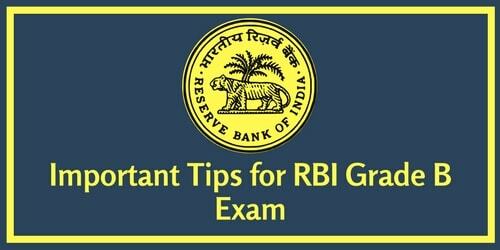 All of you who are preparing for RBI Grade B exam. Phase I exam will be held on 17 June 2017 and Phase II will be held on 7 July 2017. you won't be having enough time for the preparation of Phase II exam. (d) I will post test paper for Phase II exam on BankExamsToday. I am going to check all the tests manually. It won't be possible for me to check all the tests but I will make sure that I will check at least 1 paper of every BankExamsToday student who is preparing for RBI Grade B. My tips: If you aren't an MBA then it won't be possible for you to read a complete "Principles of Management" and Financial Management book within 10 days. I will share my handwritten notes on 17 June 2017.